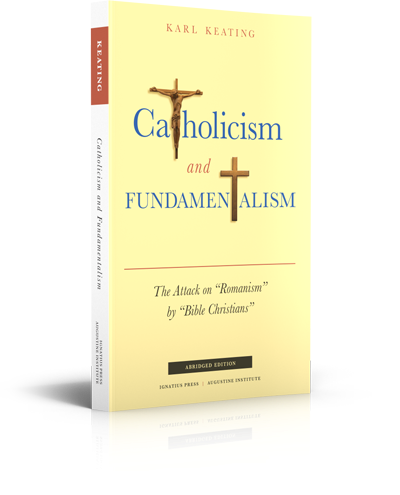 Karl Keating defends Catholicism from Fundamentalist attacks and explains why Fundamentalism has been so successful in converting “Romanists.” After showing the origins of Fundamentalism, he examines representative anti-Catholic groups and presents their arguments in their own words. His rebuttals are clear, detailed, and charitable. Special emphasis is given to the scriptural basis for Catholic doctrines and beliefs. Note: This is an abridged version of Catholicism and Fundamentalism.